The Brit manicure is a fun take on the classic French manicure Switching out traditional white tip for a red or blue pop of colour. 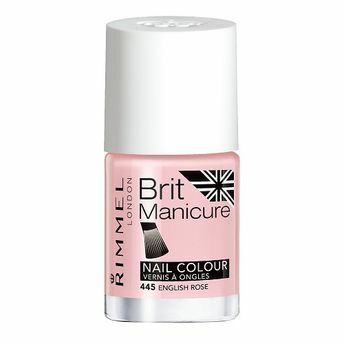 Rimmel brit manicure finishing touch super wear nail top coat gives up to 10 days shine. Extra-wide brush makes application of nail colour shades very easy. Available in porcelain nail tip colour. Explore the entire range of Nail Polish available on Nykaa. Shop more Rimmel products here.You can browse through the complete world of Rimmel Nail Polish .Alternatively, you can also find many more products from the Rimmel Brit Manicure Nail Tip Color range.